JAKARTA - Vehicles produced by Chinese joint venture carmaker SAIC-GM-Wuling Automobile (SGMW) has been gaining popularity since its first plant in Indonesia opened in 2017. The Wuling Confero Multi-Purpose Vehicle (MPV) produced at the $700 million plant in Cikarang, Indonesia, in particular, has earned widespread acclaim, wining MobilMotor Magazine's Car of the Year 2017. The locally-produced Confero MPV also won the Rookie of the Year 2018, as chosen by Indonesia's prominent automotive media outlet Otomotif. Other accolades for Wuling included its Cortez MVP winning Otomotif's Best New Car award in 2018. The awards and growing recognition and reputation of Wuling models have seen the automaker secure its position as one of the top 10 best-selling brands in Indonesia. A senior executive of an Indonesian Wuling dealership said the awards were well-deserved as the Chinese carmaker, based in Liuzhou, South China's Guangxi Zhuang autonomous region, achieved sales of 17,000 units in 2018 alone. "It was an extraordinary phenomenon in Indonesia as Wuling managed to seize the sixth position of the top 10 car brands within such as short space of time after opening its plant here," Ali Hanafiah, president director of PT Arista Jaya Lestari, told Xinhua. Wuling cars are becoming increasingly popular in Indonesia, as each model offers high technology features not found in their respective competitors. "What the consumer feels when they purchase a Wuling car is the value for money aspect. They get far more than they are paying for and the prices compared to other brands in the same class are beyond competition," said Ali, who operates 41 Wuling dealerships. The veteran of the automotive business explained that Wuling has underscored the positives of the Chinese automotive industry, and, along with its local factory producing high-quality, affordable vehicles, the comprehensive after-sales care afforded to its customers has further endeared the company to its Indonesian consumers. "Wuling is committed to serving the Indonesian market by opening its factory here in the Cikarang industrial zone, located in West Java's regency of Bekasi," said Ali, adding that this commitment had led to some record-breaking sales. SGMW Motor Indonesia, producer of the Confero and Cortez MPVs, has also enjoyed great success with its Almaz sports utility vehicle (SUV), with purchase orders reaching a record-breaking 600 units since it was launched in late February. "Most of those who purchase Wuling cars tend to be younger people in their 30s who are attracted by the cars' plethora of high-tech features, which set the cars apart from other brands," Ali said. Business is booming for Wuling in Indonesia, with outlets jumping from 42 in 2017, to almost 100 across the country, with the firm's sales target being upwardly revised to 30,000 units nationwide this year. While test driving an Almaz SUV from a dealership in Gading Serpong, one would-be buyer was impressed by the car's price considering all the technology incorporated. "With all of these high-end, high-tech features in the car, the price is undeniable competitive. I would certainly buy this model," Endy Kuswantono, a man in his 30s, told Xinhua. In terms of Wuling's global ambitions, Operations Director of SGMW Motor Indonesia, Shen Yulin, said that opening the SGMW facility in Indonesia is part of the firm's response to the Belt and Road Initiative proposed by China in 2013. The 60 hectare facility in Indonesia is SGMW's largest plant outside of China comprising the main plant capable of producing 120,000 cars per year and the supplier zone. 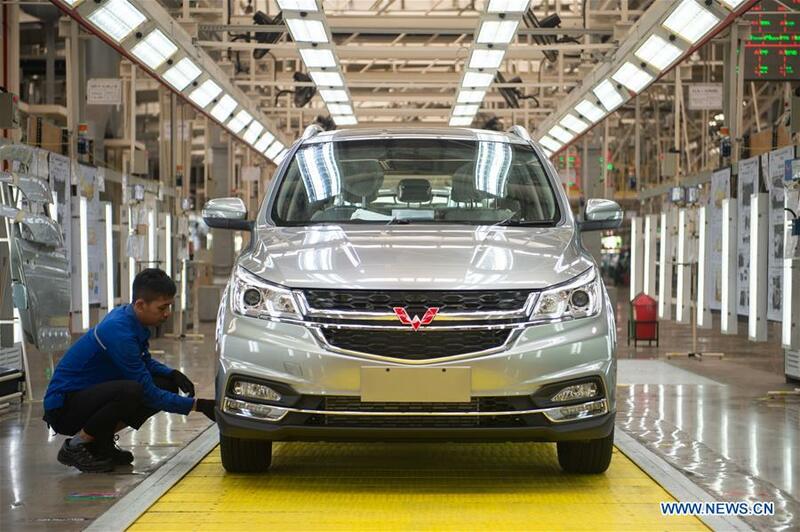 The plant employs more than 3,000 local workers and commissions 16 local firms to supply components for the cars' production, Shen said, adding that more local suppliers are being sought to expand supply chains for Wuling cars manufactured in Indonesia. SGMW Indonesia will introduce new products every year to maintain the competitiveness and meet the growing popularity of Wuling products in the country.